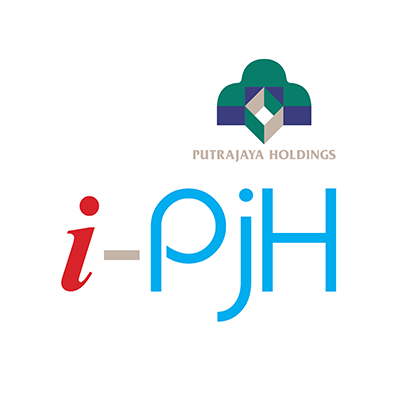 The term “Putrajaya Holdings” or “us” or “we” refers to Putrajaya Holdings Sdn Bhd (Company No. 364152-K), the owner of the website, whose registered office is Menara PjH, No. 2, Jalan Tun Abdul Razak, Presint 2, 62100 Putrajaya, Malaysia. This website belongs to Putrajaya Holdings. The copyright to the contents of this website is owned by or licensed to Putrajaya Holdings. This website is intended for personal use, quick reference, illustration and information purposes only and may not be copied, redistributed or published in any manner without the written permission of Putrajaya Holdings. Any unauthorised use of any part of this website is strictly prohibited. The trademarks, logos, characters and service marks (collectively “Trademarks”) displayed on this website belong to Putrajaya Holdings. Nothing contained on this website should be construed as granting any license or right to use any Trademark displayed on this website. Any use/misuse of the Trademarks displayed on this website, or any other content on this website, except as provided in these Terms and Conditions, is strictly prohibited. Putrajaya Holdings reserves the rights to bring any action arising from the improper or unauthorised use of this website, including any action for infringement of its trademarks and other intellectual property rights. Putrajaya Holdings does not provide any warranty or guarantee as to the accuracy, timeliness, performance, completeness or suitability of the information and materials found or offered on this website for any particular purpose. You acknowledge that such information and materials may contain inaccuracies or errors and Putrajaya Holdings expressly exclude liability for any such inaccuracies or errors to the fullest extent permitted by law. Any use of any information or materials on this website is entirely at your own risk, for which Putrajaya Holdings shall not be liable. It shall be your own responsibility to ensure that any materials or information available through this website meet your specific requirements. Neither Putrajaya Holdings nor any other party involved in creating, producing or delivering this website is liable for any direct, incidental, consequential, indirect or punitive damages arising out of your access to, or use of, this website. Without limiting the foregoing, everything on this website is provided to you “AS IS” WITHOUT WARRANTY OF ANY KIND, EITHER EXPRESSED OR IMPLIED. EcoWorld SHALL NOT BE LIABLE FOR ANY DAMAGES, LOSS OF PROFITS, INJURIES, SAVINGS OR GOODWILL RESULTING FROM YOUR USE OR INABILITY TO USE INFORMATION PROVIDED FROM THIS WEBSITE. You shall indemnify and keep Putrajaya Holdings indemnified against all claims, damages, actions and proceedings made or brought against Putrajaya Holdings arising from your use of this website and/or any breach of terms in relation thereto by you. The linkage to other websites provided herein is merely for your convenience and does not signify that Putrajaya Holdings endorses such websites. Putrajaya Holdings bears no responsibility for the contents of such other websites and shall not be held liable for any damages or injury howsoever arising therefrom. You shall view any of the linked websites at your own risk. Putrajaya Holdings reserves the rights to change, vary or modify any of the information and terms contained herein without notice.